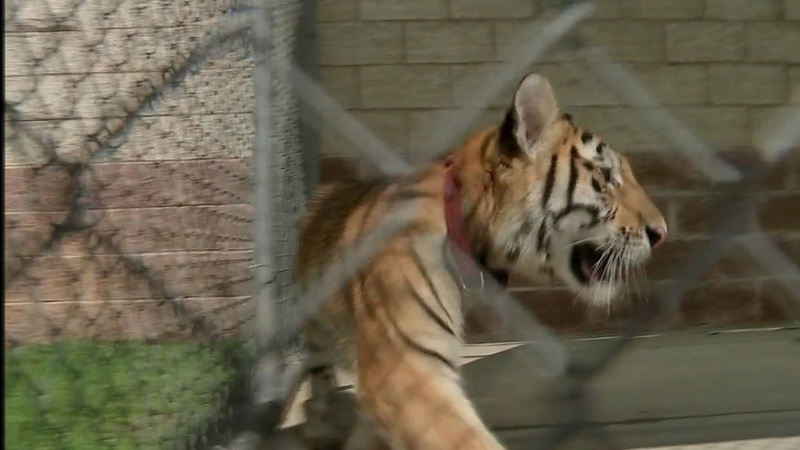 CONROE, TX (KTRK) -- The owner of that tiger cub found on the loose in Conroe last week was reunited with his big cat, but she won't be going home with him. Cody Tibbitts says the tiger cub escaped when the water rose on his 13-acre property last week. She was found wandering a neighborhood and was taken to the Conroe animal shelter. Police arranged for him to see the tiger again, but it's going to be up to a judge to decide where she ends up. "I obviously don't like the way she's living in a cage like this, but I can only do so much," said Tibbitts. "We'll see where she goes and see what the judge decides." The cub is only about five months old and weighs a little more than 100 pounds. But she will eventually be 500 pounds. That owner told us he would love to see her sent to a tiger sanctuary in Tyler, Texas.